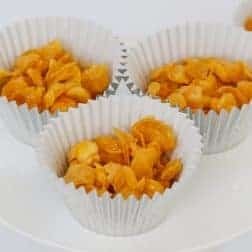 The famous Honey Joys recipe made from cornflakes, butter, honey and sugar. 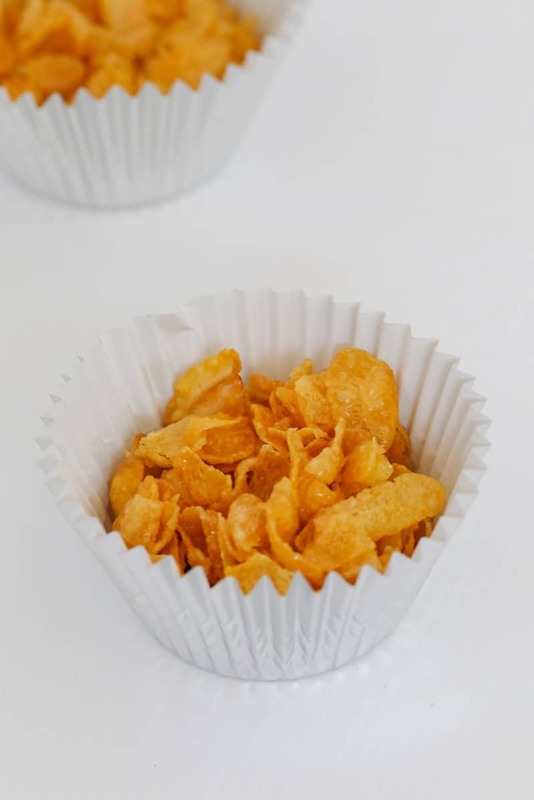 The ultimate kids party food recipe! 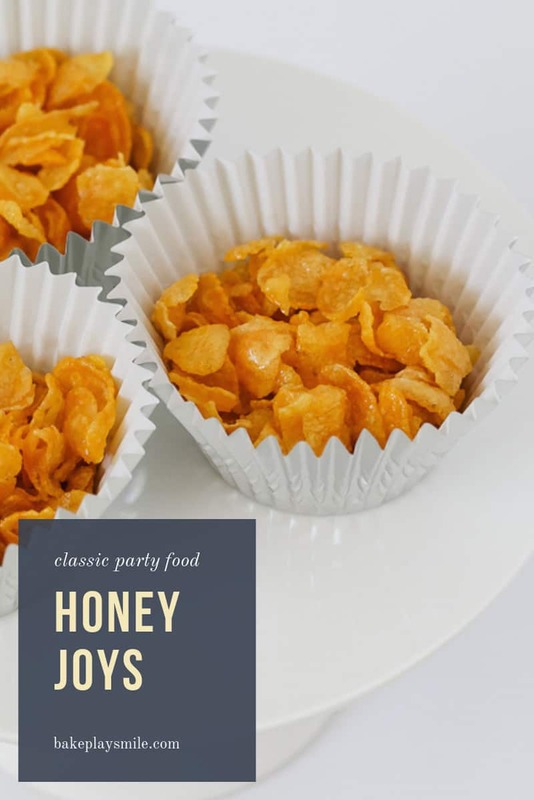 Who else grew up eating honey joys at every single birthday party they went to? I know it wasn’t just me!!! 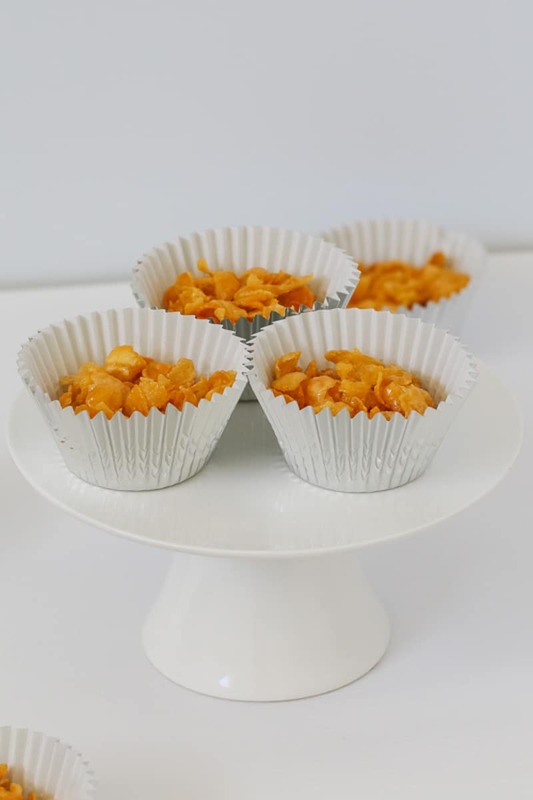 And these little crunchy bites have passes the test of party food time and are as popular as ever. (you’ll know it’s ready when the butter has melted and most of the sugar has dissolved). 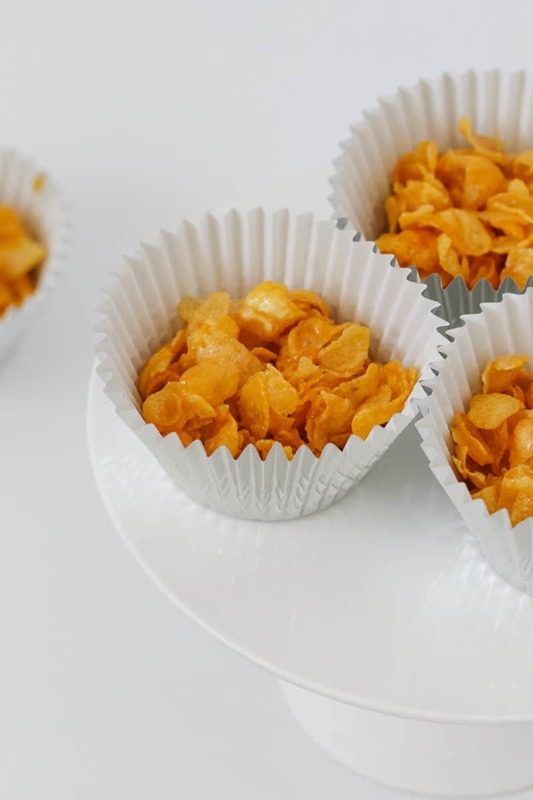 The best thing about honey joys is that you can make them ahead of time! 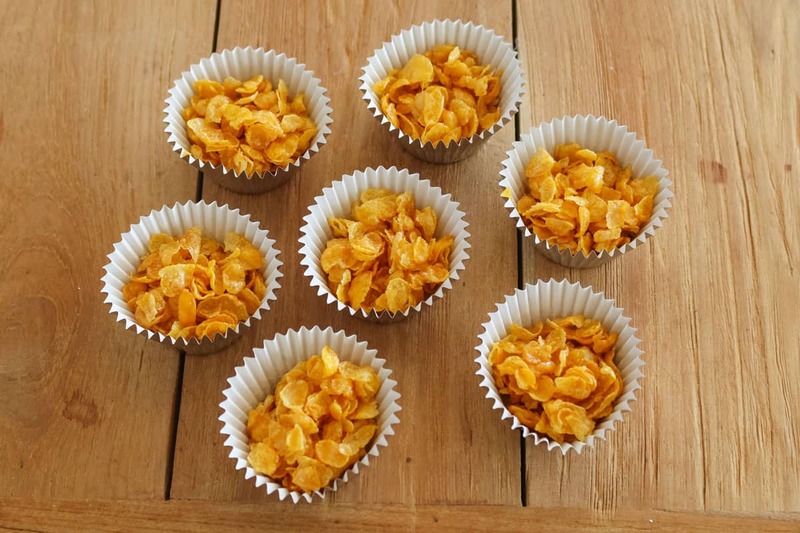 Once they’ve cooled completely, place them into airtight containers and store in the fridge for up to 1 week. Note: you can leave these out of the fridge if the weather is cool – but they hold their shape and crunch better in the fridge). 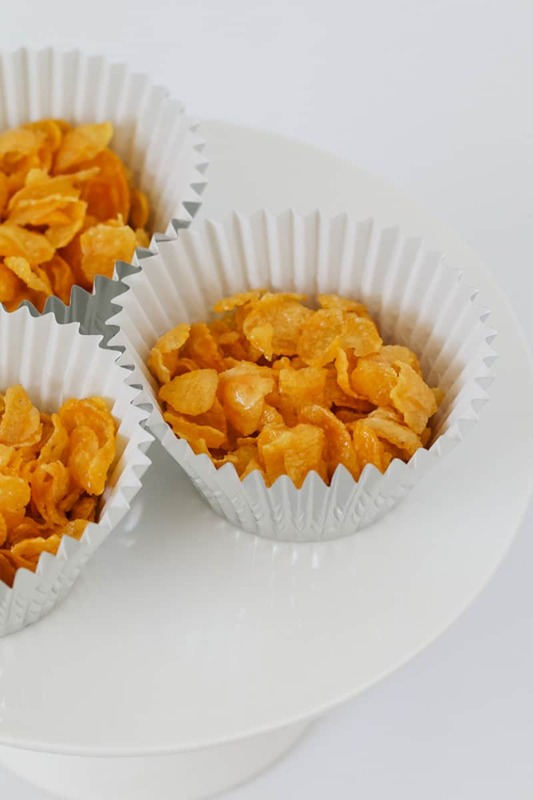 The famous Honey Joys recipe made from cornflakes, butter, honey and sugar. 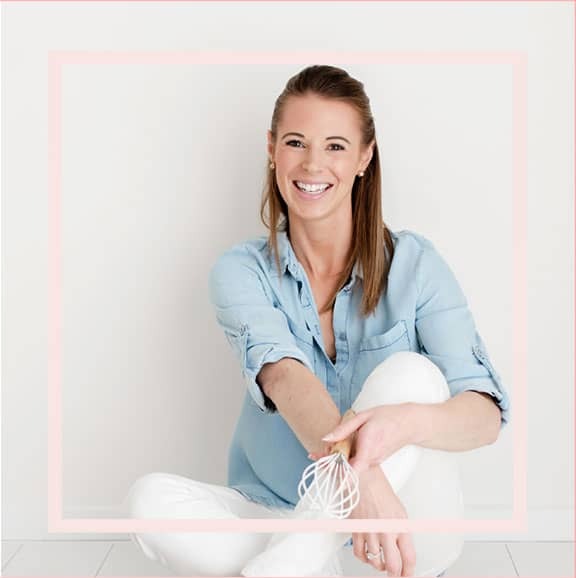 The ultimate kids party food recipe that everyone loves! Preheat oven to 150 degrees celsius (fan-forced). 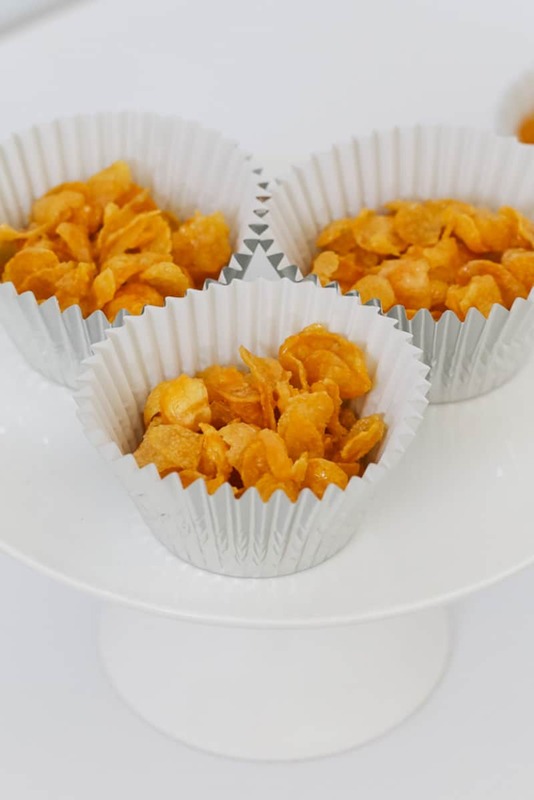 Line 2 X 12 hole muffin tins with liners and set aside. 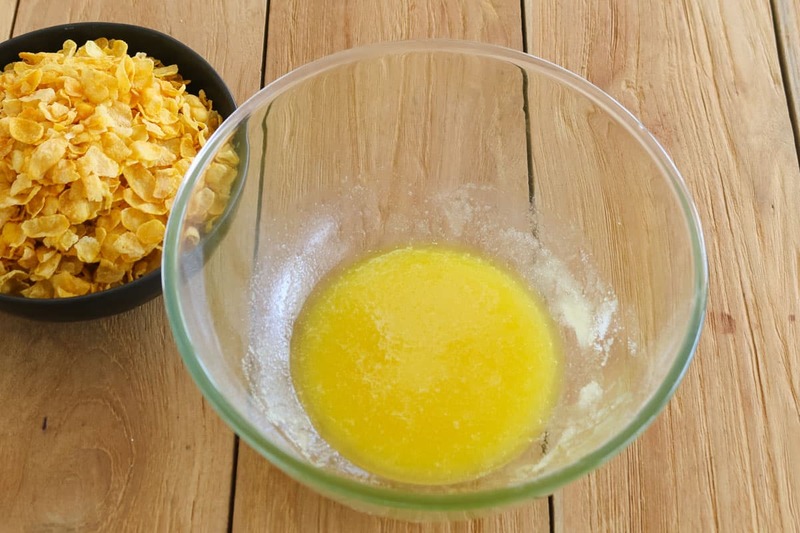 Place the butter, sugar and honey into a microwave-safe bowl. Melt on 50% power for 3-4 minutes (stirring every 30 seconds) or until melted. Divide the mixture between the liners and place into the oven for 10 minutes. Allow to cool before removing from the muffin tin. 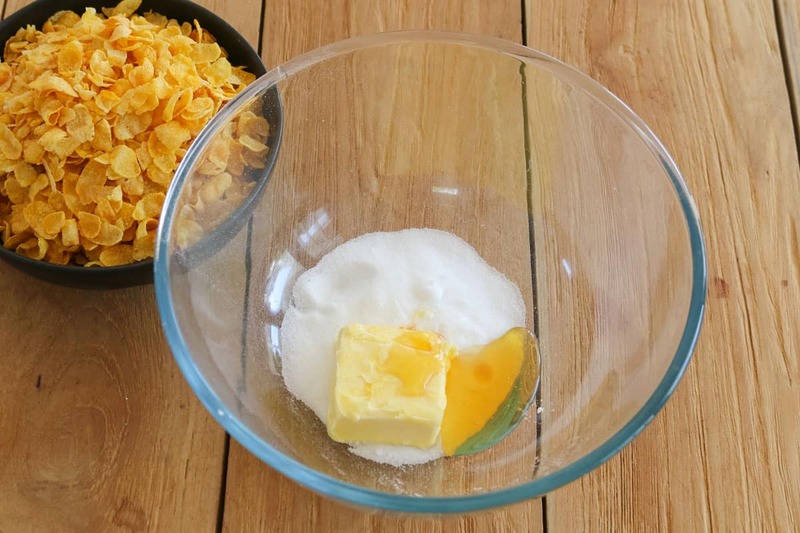 Place the butter, sugar and honey into the Thermomix bowl. Melt on 90 degrees, Speed 2, 3 minutes. 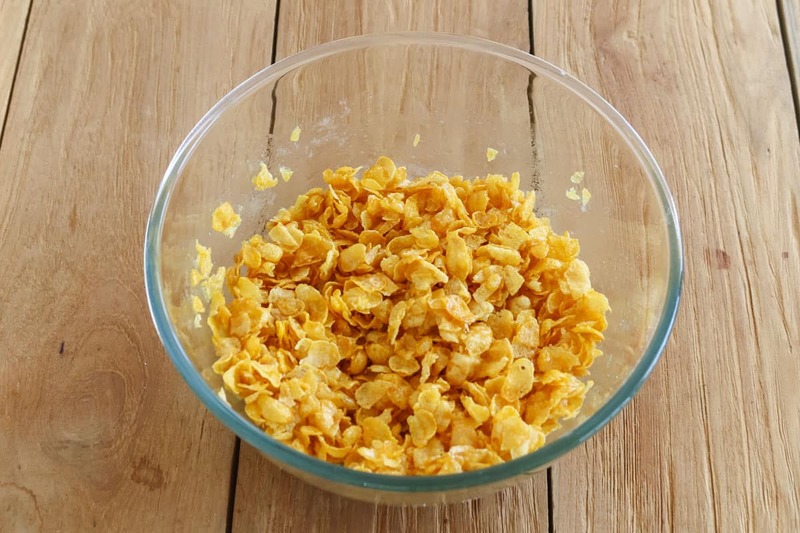 Add the cornflakes and mix on Reverse, Speed 2, 10 seconds (you'll need to use the spatula to help mix).